Dajon Interiors is a Gloucester based independent kitchen dealer and have been trading for 20 years. Being an independent kitchen dealer means that Dajon can offer you a complete range of kitchen cabinets, appliances and worktops from a host of hand picked manufacturers. Dajon has selected products from leading international brands such as Neff, Siemens, Schuller, Keller, Silestone, Corian, Franke and many more. Sourcing products from all over the globe and home grown ones to ensure that you are getting the very best quality at the very best price. Dajon offer their kitchen design and installation service across Gloucester, Cheltenham, Stroud, Tewkesbury and the surrounding areas. If you are further afield please get in touch to discuss which services will be available to you. With employed and sub contract time served kitchen fitters, Dajon offer the most comprehensive installation and project management service. Able to undertake every aspect of your project from the installation to plastering, electrics, gas and building works Dajon is a ONE STOP SHOP. 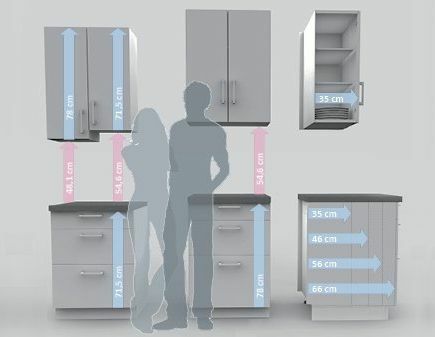 A Dajon kitchen is built around you and tailored to every element of your life including your height! Our comprehensive range of German, Dutch, Italian and British kitchens take into consideration every element of your lifestyle. Defining a tailored kitchen specifically to your needs and allotted space, is what makes a normal kitchen a great kitchen. Take for instance our wall unit depth of 350mm. Most kitchen manufacturers offer you the standard 300mm depth for wall cabinets. The extra 50mm which comes with as standard with a Dajon kitchen allows for a full size dinner plate to be housed at eye line height. Another great option Dajon offer is the extended base unit heigh of 780mm, usually 720mm. Maintaining a standard worktop height and reducing the plinth height makes the kitchen look sleek and stylish and also provides loads more storage and options on drawer configurations. Its not just whats on the outside that makes your kitchen amazing its whats on the inside and the bits you don't see! A Dajon kitchen is designed to perfection and manufactured to the highest of standards. Our German made kitchens offer the very best in cabinet construction. A Kitchen is just a shell until you fill it with all of your lovely kitchenware. Protecting and displaying your kitchenware is an important part of clever kitchen design. 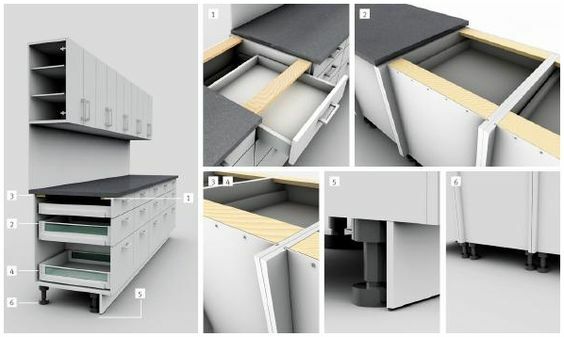 Choose from a multitude of bespoke internals that fit your drawers and cupboards perfectly. 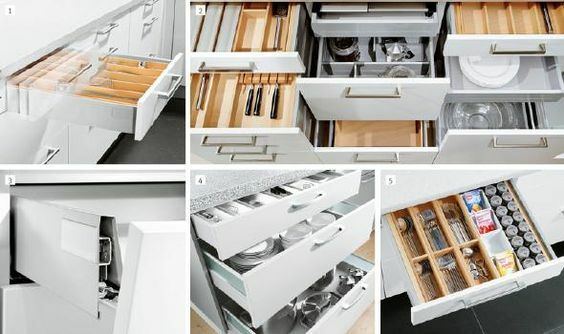 Maximise your storage capabilities with clever solutions to store and display cutlery, pots and pans, crockery, food and cooking appliances. Dajon also offer a complete range of built in mechanical waste sorting solutions that will help you with your recycling needs. Adding your waste management to your kitchen in the correct place can revolutionise the way your work and prepare your meals. The fun part of choosing your new Dajon kitchen is selecting the colour and style. 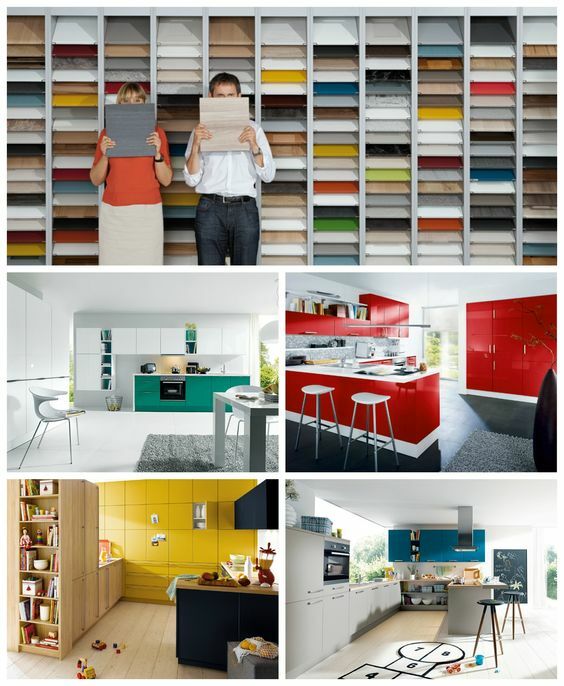 Quite simply Dajon can offer you any colour kitchen you desire! Our Kitchen Paint service allows you to select whichever door style you like, contemporary or traditional, and have it painted to a colour of your choice. If you are spoilt for choice we have a standard range of colours, wood finishes and styles for you to choose from that echo modern and timeless classical design. If you are looking for something classical we have a complete range of home grown British kitchens that offer you all of the beautiful British design features that we have come to love over the years. From mantles to pilasters and in-frame doors you can get it all at Dajon Interiors. For those of us that look for a more contemporary slant on life Dajon have a unique range of German, Dutch and Italian kitchens for leading world brands. These offer the very latest in manufacturing technologies to create unrivalled kitchen designs. Whatever you preference Dajon can create your dream kitchen in any colour or style that you would like. Pop into the showroom to discover a range of kitchen displays and door samples from contemporary to traditional. With over 20 years of experience, Dajons designers will help you choose a style and colour to complement your home and lifestyle.